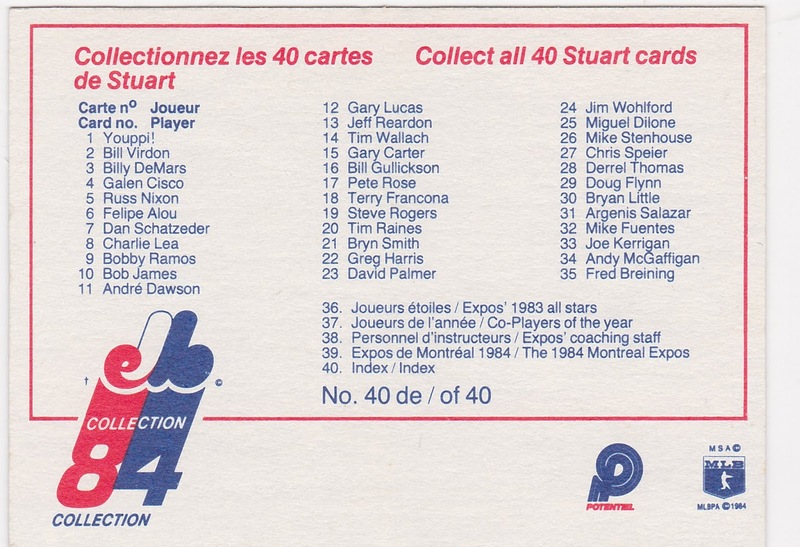 It started with a bindered lot of 250 cards or so that I grabbed at a hotel card show a few years ago. I really didn't know what I was getting into ("Hold my beer!" 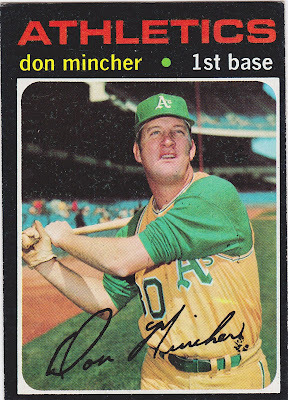 -'71 Topps) and it ended this past week with a couple of different deliveries. The Jim Coates card above was the last purchase I made and closed out my want list. 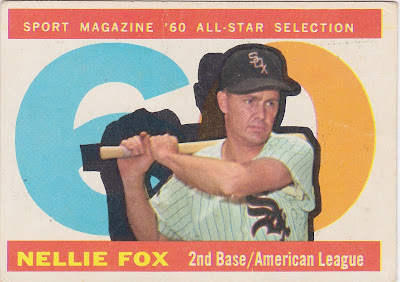 I ended up with a better card than the one I had been eyeing for not much more money. This (relatively) better-centered one was only a few dollars more than the one I had almost purchased. 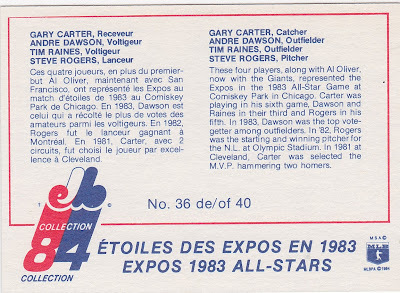 It still carried the 'Yankee Tax' that plagues most vintage card chasers. 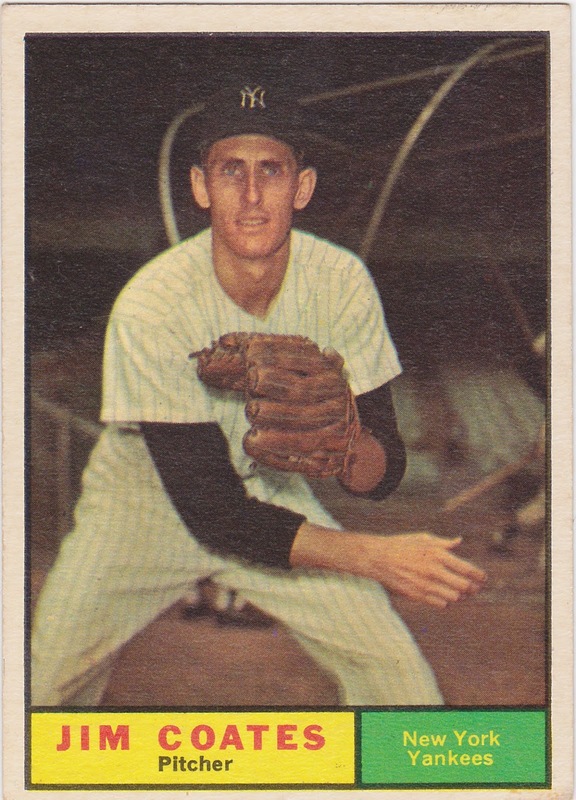 This one, the Bob Cerv and Rollie Sheldon cards in the high number series cost more than their non-Yankee cousins. Just a sad fact of a collector's life. 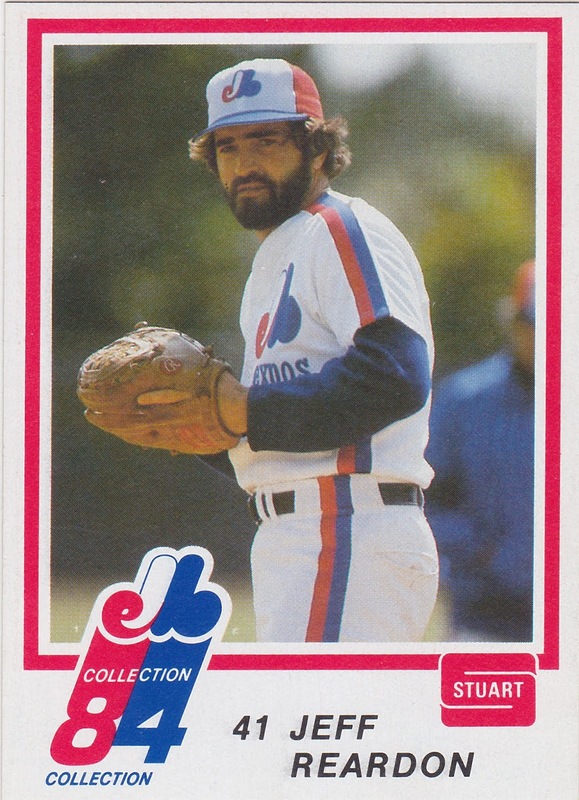 Don Ferrarese's card came from a COMC buy I made earlier this spring but held off on shipping as is my habit. It only makes sense to me to wait until I have enough purchases to make the $4 shipping reasonable. 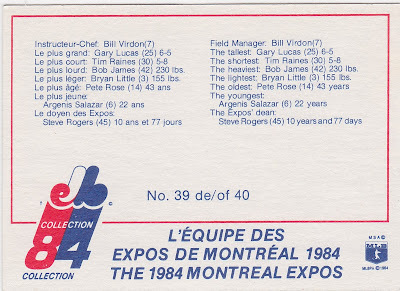 The card (and his traveling companions arrived in yesterday's mail. I was pretty excited to slide this one into its slot. Card, Page, Set! Ferrarese, now 89 years old, pitched for five clubs over eight seasons (including three for the Orioles) and won 19 games. His lasting legacy, though, is his charitable work including his foundation which provided scholarships to promising kids. Very nice. He wears an obviously airbrushed cap in this photo. 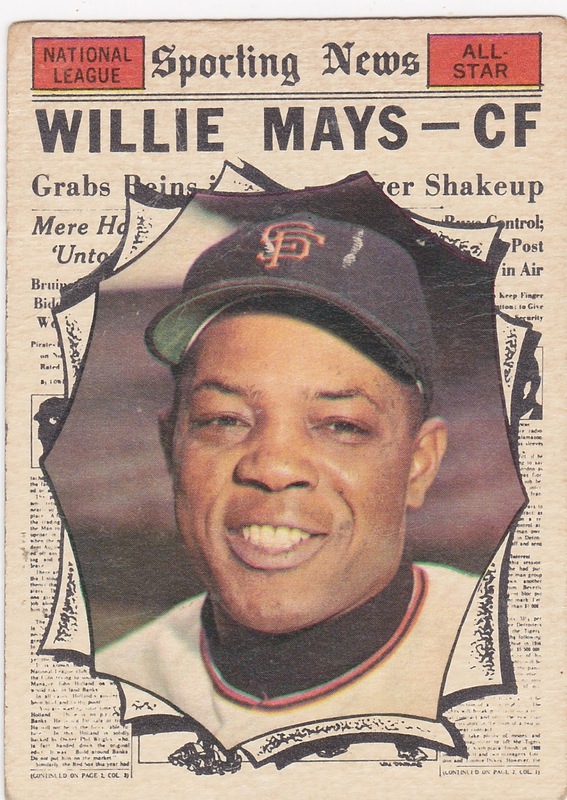 He was dealt to the Phils in April of 1961 and Topps had time to get his team correct even though they didn't get an updated pic. That's Yankee Stadium and he could be wearing White Sox, Indians, or even an Orioles uni. Nice to have this thing behind me. I will do my 'upgrade census' at some point but I already know that there are not many that need to be included on that list. There are a few variations in several checklists but I'm not too concerned with them. Checklist variations fail the 'Would Bob have noticed in 1961' test. Now it's time to start seriously dealing with the last 45 or so cards I need from the 1971 set. I may throw a party when that thing is done! If you are a fan of the original Star Trek television series you probably remember the Season Two episode that I reference in the title. Tribbles were fuzzy little creatures that multiplied frequently and prolifically and quickly overtook every nook and cranny of the Enterprise. 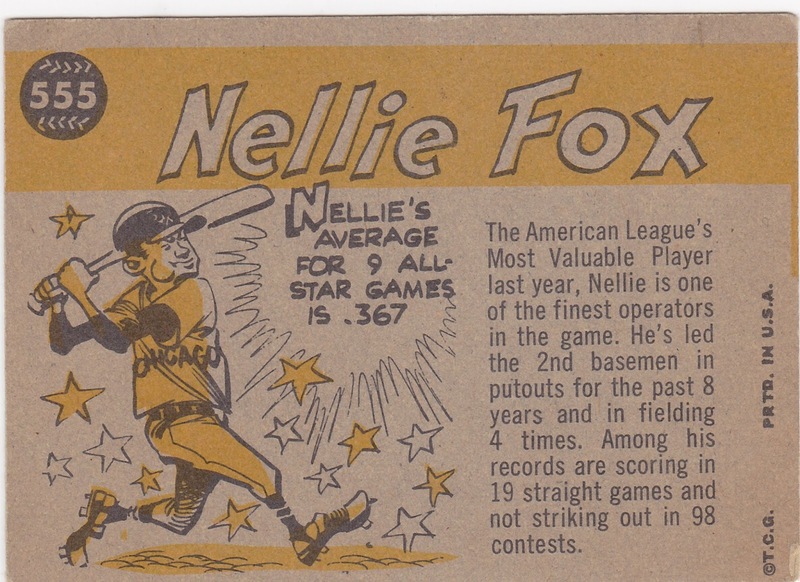 That's kind of how the 1971 Topps set has been for me. 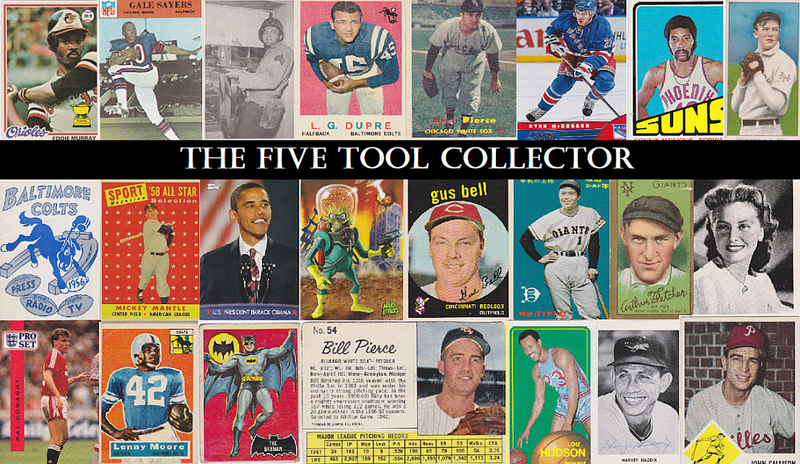 First of all, it's by far the largest set I've attempted to collect piece by piece. My three column Excel checklist runs five pages. Even with narrow margins. 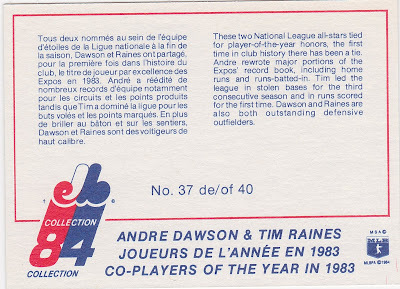 For the longest time, before I had a binder set up, I had little stacks of these babies all over my desk and shelves. They seemed to be everywhere. And my want list looked LONGER every time I scratched off the cards I acquired. After one of my last postings for the set chase, I heard from John who writes Johnny's Trading Spot. 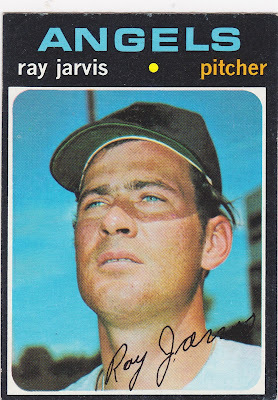 He let me know that he was sending some stuff including two cards from my '71 list. 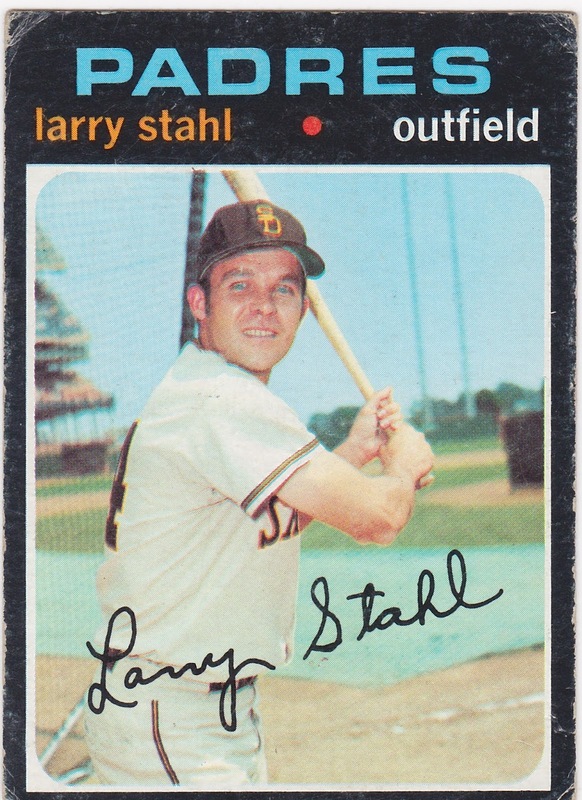 Larry Stahl was coming off a two year stretch under the Mendoza Line but was rebounding nicely when this card arrived in 1971. He had been selected off the Mets' roster by the Padres in the expansion draft after the '68 season. 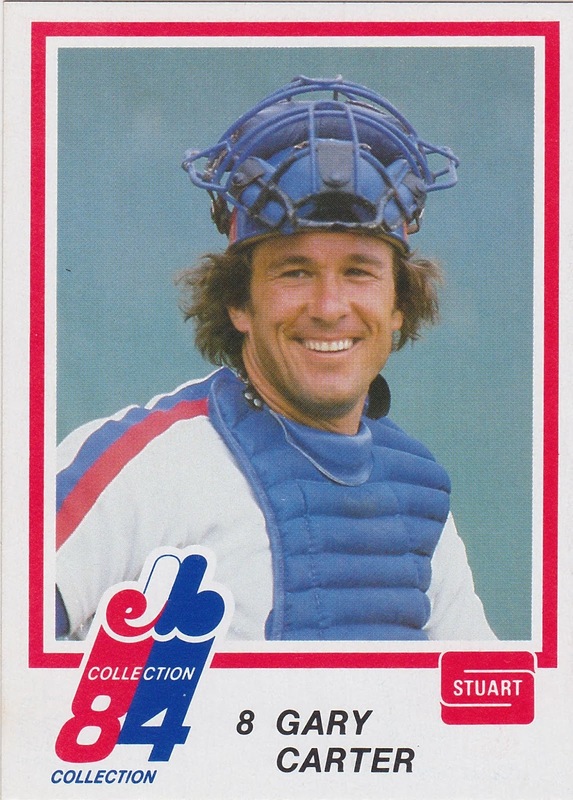 Which meant he lost a shot at being a part of the 1969 Miracle. 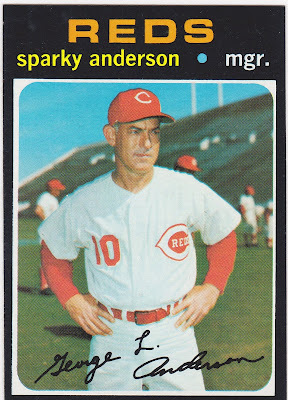 His final major league at-bats came with the Reds in the 1973 playoffs. He got two hits in four trips against the victorious Mets. Ray Jarvis pitched in 44 big league games, all for the Red Sox in 1969/70. He was traded to the Angels right after the 1970 season but didn't make the team and pitched for their AAA affiliate in Salt Lake City. 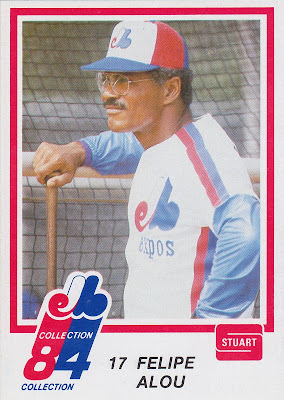 He had some arm issues and was cut during Spring Training of 1972 and went into sales and eventually coaching at the college level. 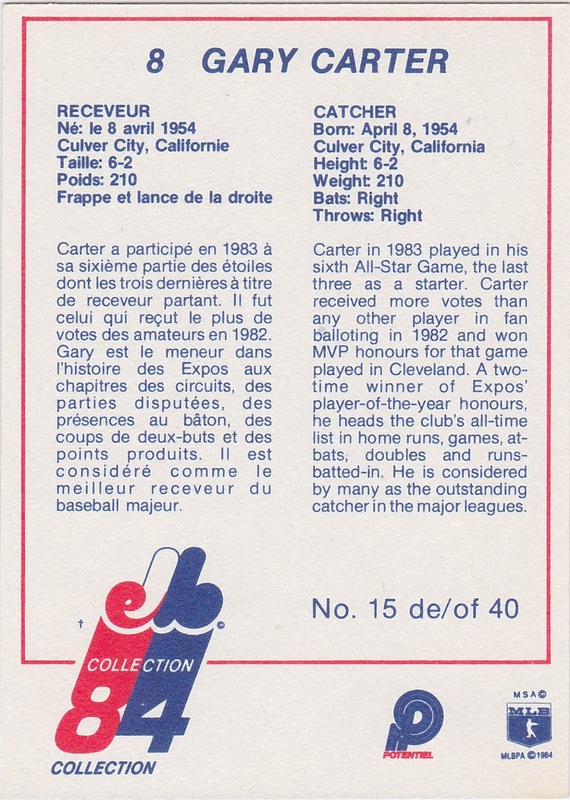 He had a rather long and interesting SABR bio, especially for a guy with such a short career. Thanks again, John, for knocking off a few Tribbles 71s. 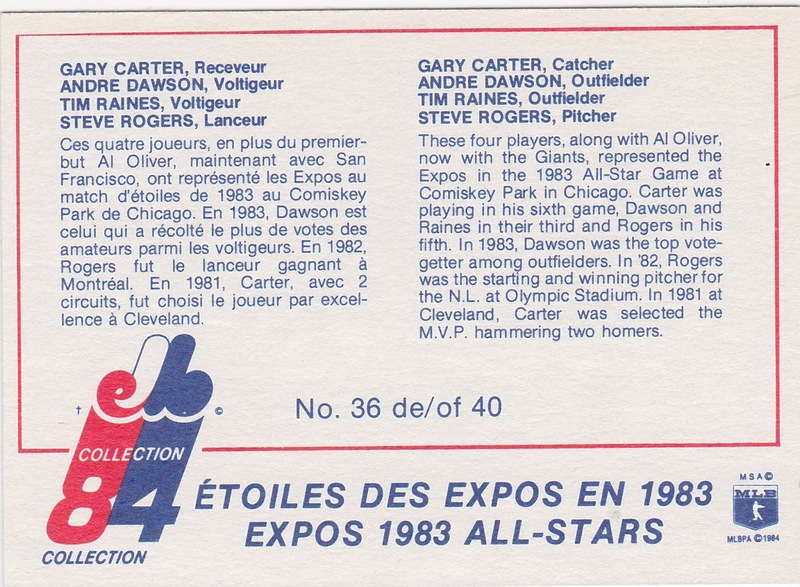 I attended the hotel card show last Saturday and added six or so 71s including a few star cards. They all came from my friend, Darryl, the show's promoter. I also lost(!) two 1971 cards that I bought from a different dealer. They simply were not in my bag when I got home. They were easy to replace since they were not SPs or anything but to simply lose $5 worth of cards is pretty frustrating. 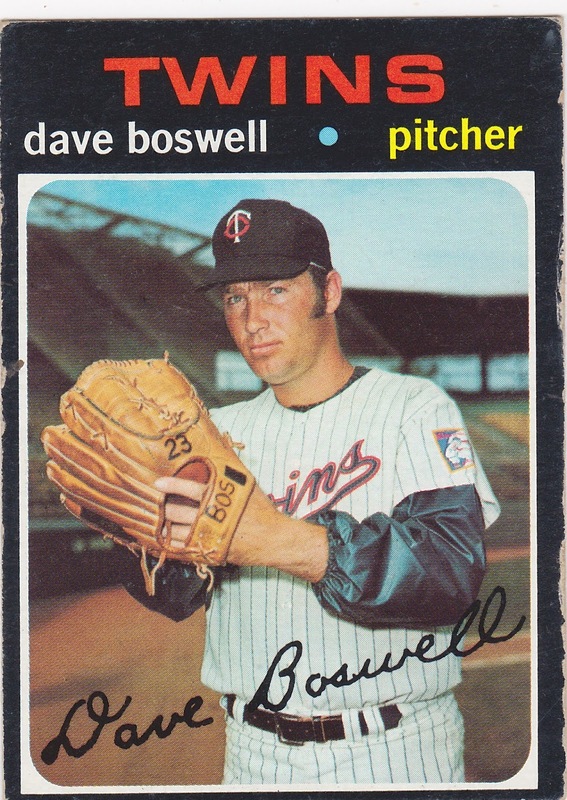 I'll always remember Dave Boswell for his part in the terrific ALCS Game Two matchup he had with Dave McNally of my Orioles in Memorial Stadium in 1969. 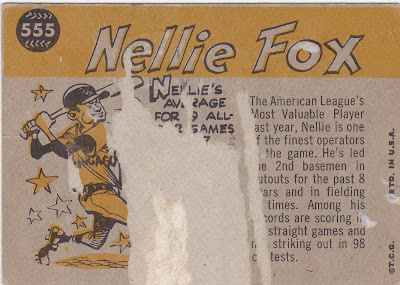 With me and my father watching from our seats above the left-field bullpen he dueled McNally for 10 innings, wriggling out of a few jams along the way in a scoreless ballgame. He walked Boog Powell to start off the bottom of the 11th. 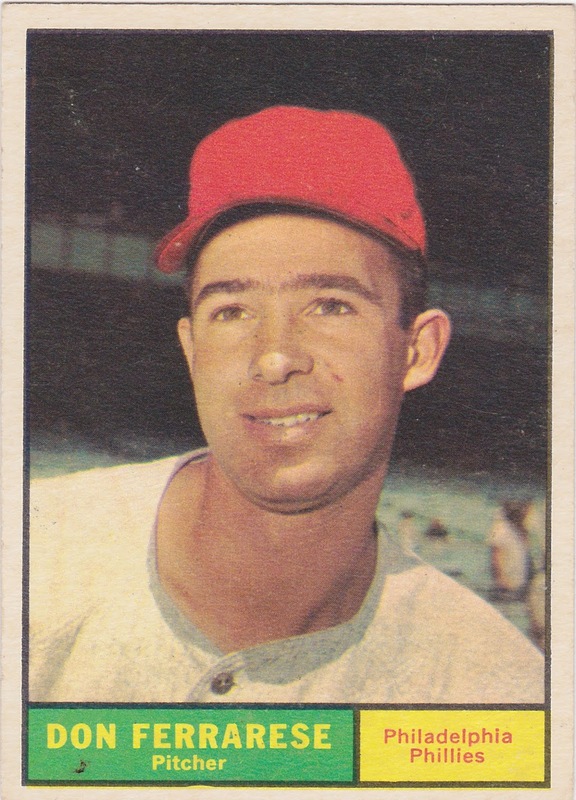 Powell was bunted up to second by Brooks Robinson. 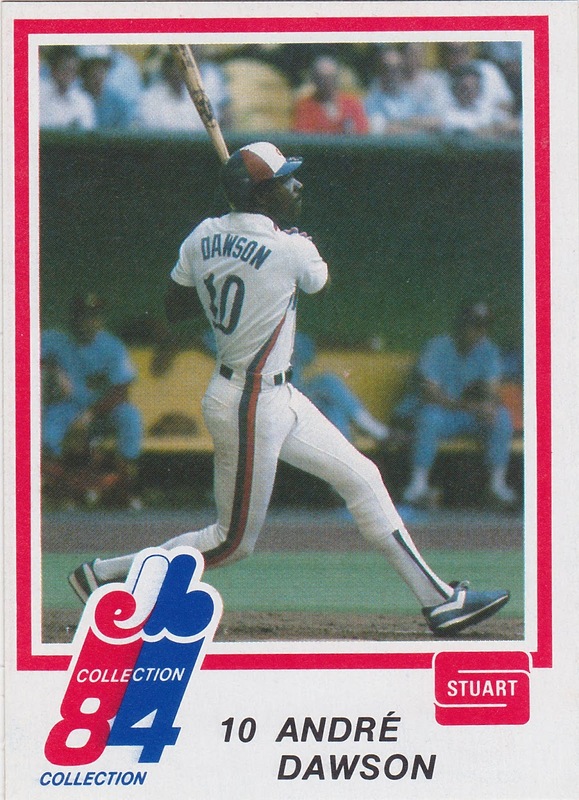 Dave Johnson was walked to fill up first base and when Mark Belanger popped out it looked like the game might go to the 12th. 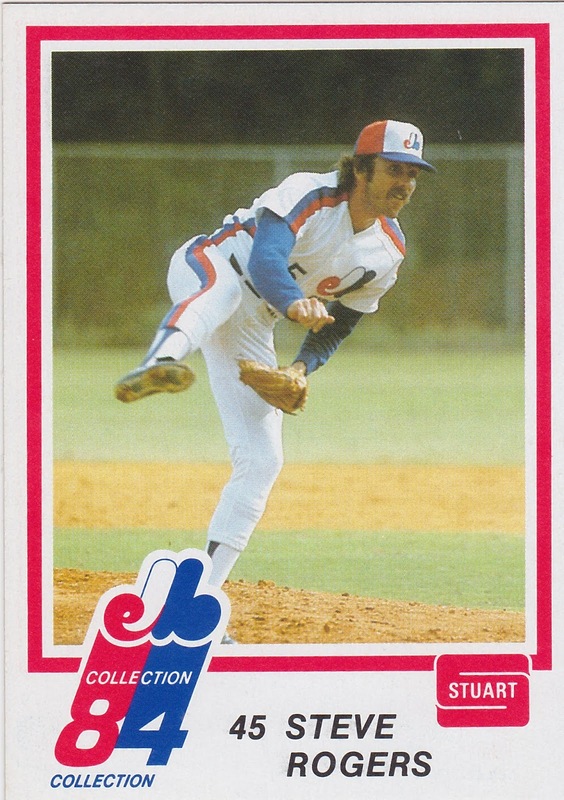 But Billy Martin did us all a favor. 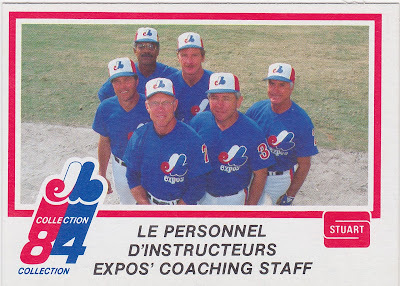 He brought in Ron Perranoski who had gone almost four innings in relief the before in that 12 inning affair. 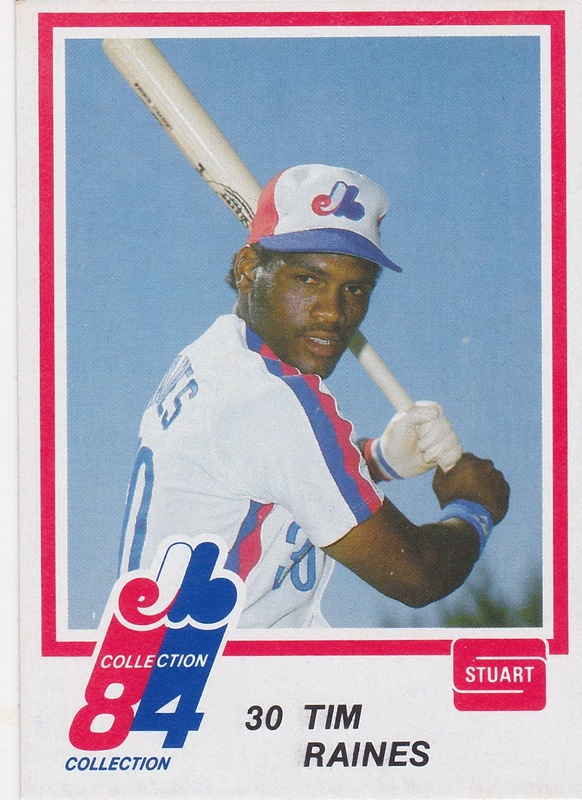 Curt Motton pinch hit for Ellie Hendricks and roped one to right for a hit and Boog trucked it on home for the 1-0 win. A great weekend! 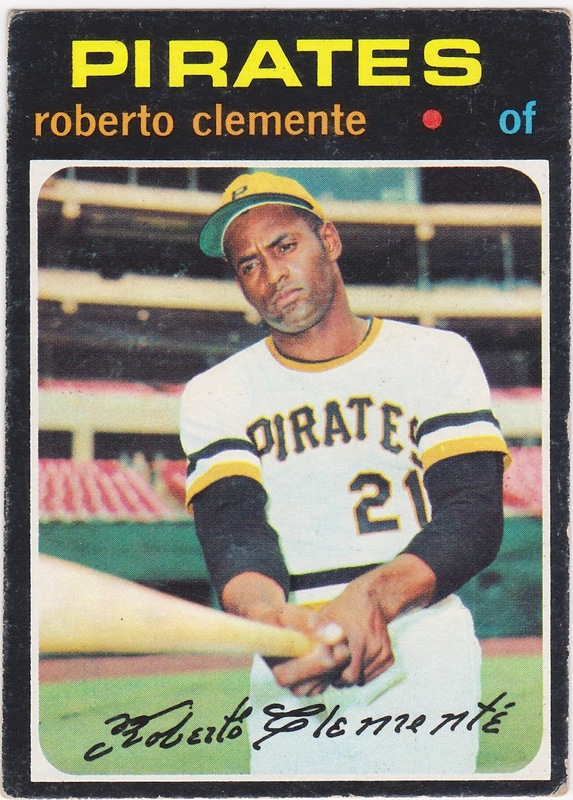 I got a nice deal on this off-condition Roberto Clemente. I've 'conditioned' myself to look past condition while building this thing. Just like I did with the 1962 set. But it's a beauty with or without nice corners, isn't it? Love this card! 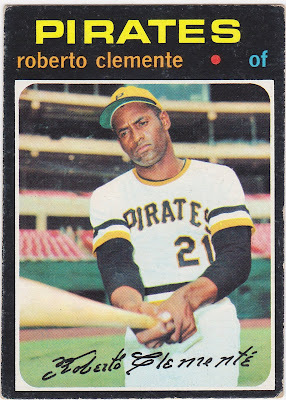 It's so damn Clemente. 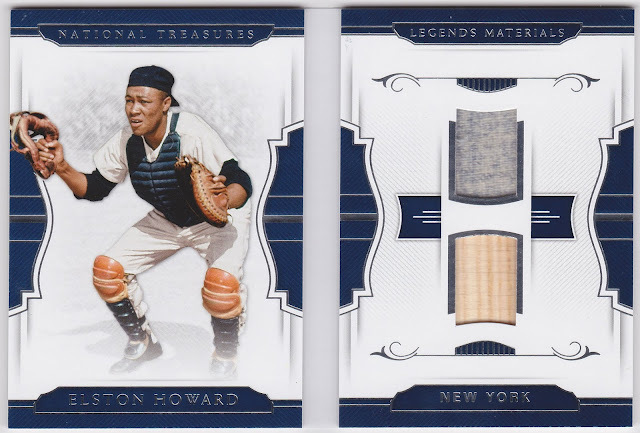 These next two cards are really as nice in hand as they appear to be in the scans. 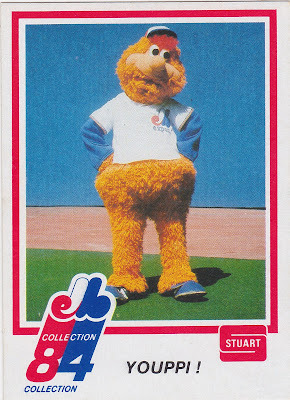 First, here's Sparky. It's hard to tell whether the photo of Sparky was taken in Lopez Field or perhaps the Reds were working out in the football stadium. One thing I DO know...these posts wouldn't take nearly as long to finish if I didn't have this weird compulsion to know just where the photos were taken on baseball cards. 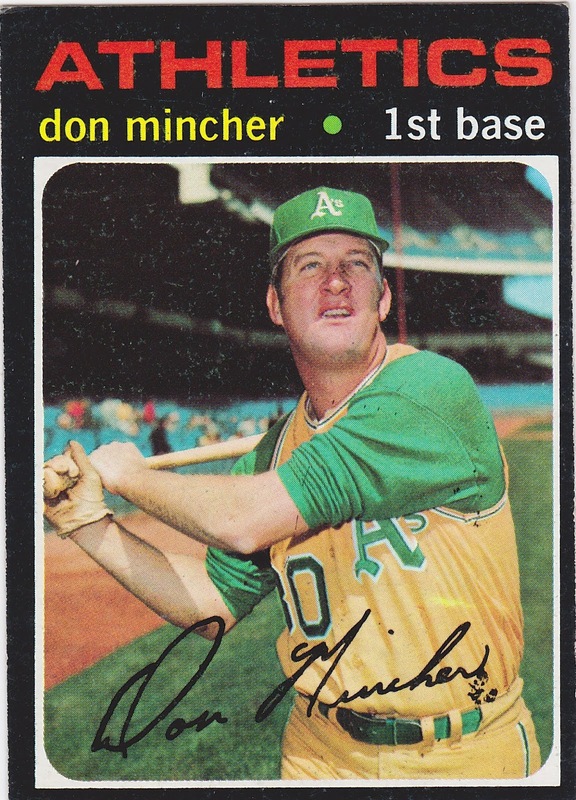 This set's design really helps to show off the better photos and especially the terrific A's green/gold unis. No question here, that's Yankee Stadium. (Patty Duke's TV dad) sighting! 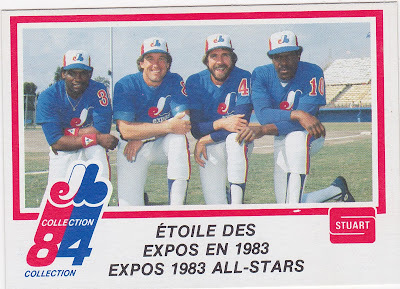 I stumbled across these things one night on eBay and did a little research. Guy's Snacks has been in business for almost 80 years. They were founded in Kansas City are still based in the area. 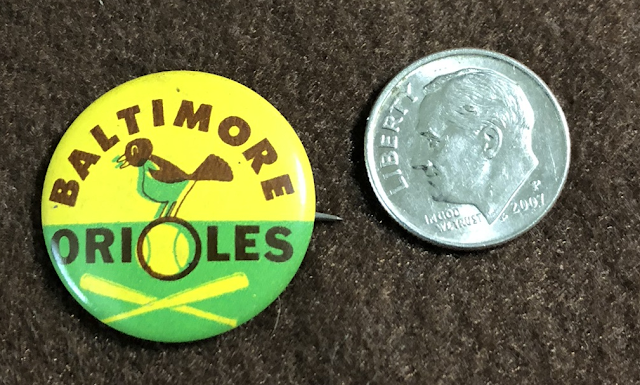 The pins are from a baseball promotion that lasted through the first half of the 60s. 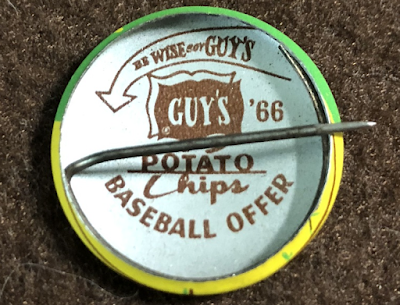 The first pins were distributed in chip bags in 1962 and all MLB teams were included. Over the course of the next five years, four different 'series' of pins were issued. 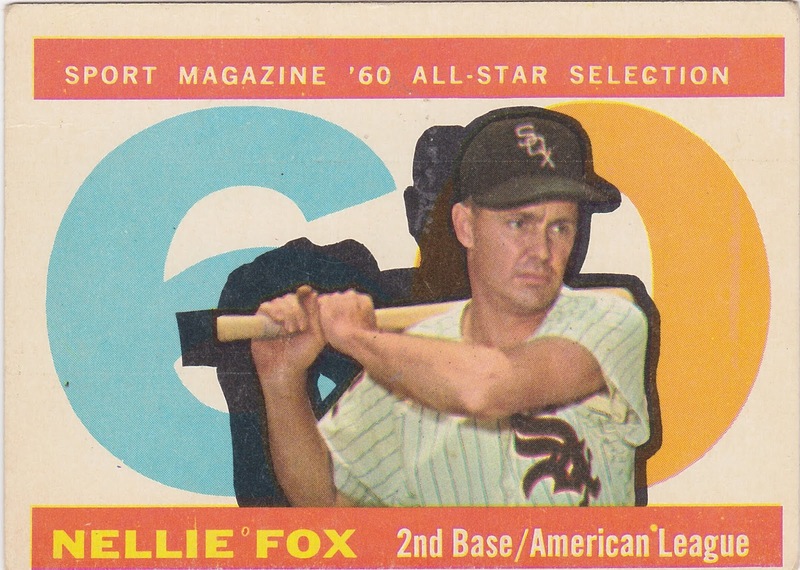 They skipped 1963 (or kept distributing the '62 pins) and had different color combos each year for all big league teams in 64, '65 and '66. No official logos or colors were used and not all the teams had pins with logos at all. A few simply stated "A (team) Fan". 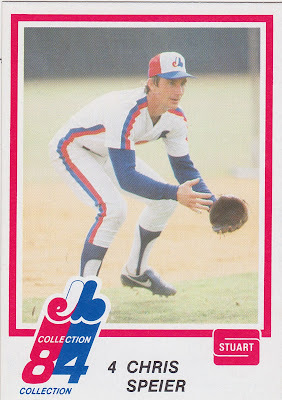 Others use a generic player picture and whatnot. 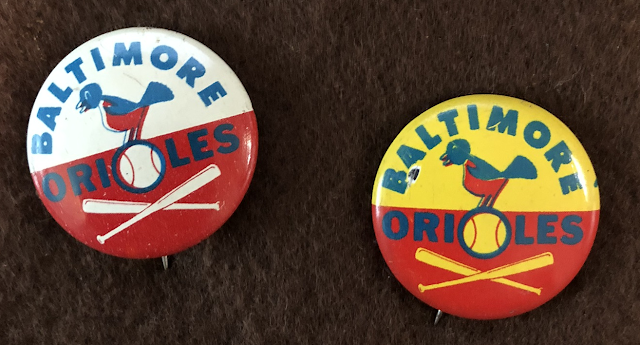 I was easily able to find three of the four Orioles pins. 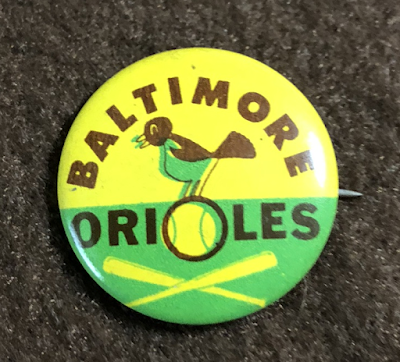 The different years had different undersides and that makes it easier to differentiate the pins than learning the funky colors for your team. The 1962 pins were blank-backed. That is the year I'm lacking for the Orioles. The one above was the first one I picked up. It's from 1966. 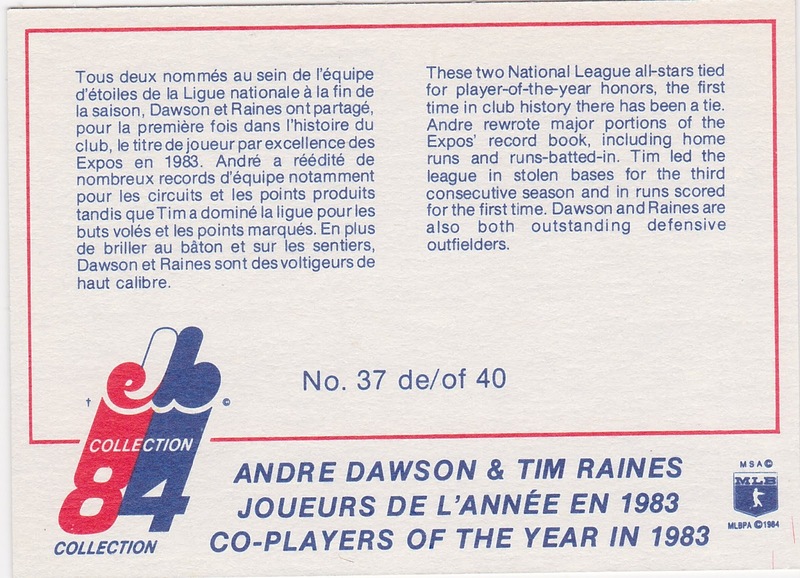 Note the year is indicated on the back. These things are small. Not much bigger than a dime. Lots of the pins I found are printed with a color 'shifted' as you can see with that '66 pin. Next, the 1964 (no year on reverse) and '65 pins. 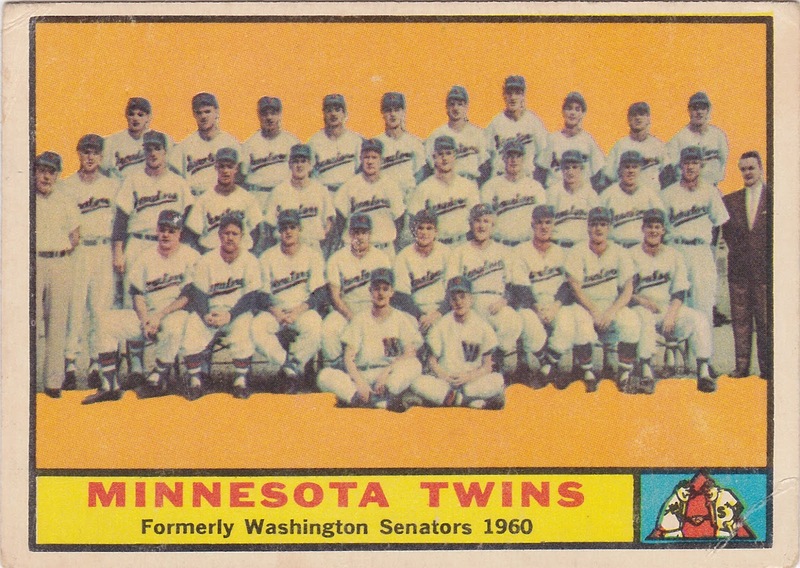 The '64 is my favorite as the colors are (sort of) closer to the actual Orioles colors. I've yet to see a 1962 Orioles pin. 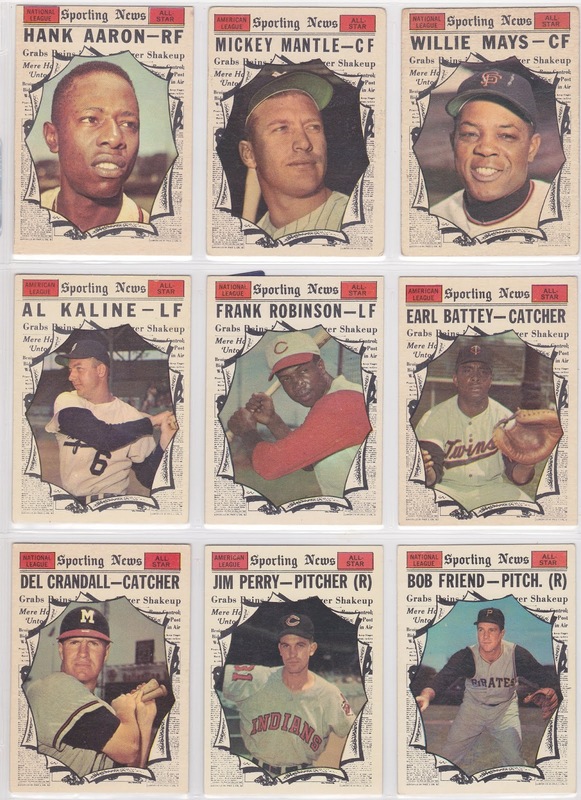 I saw an old listing for a "1962" on an auction house site and I think it was a mislabeled '64 and there was no picture of the back. I'll keep digging. These are fun. Old, ugly, odd....right up my alley! 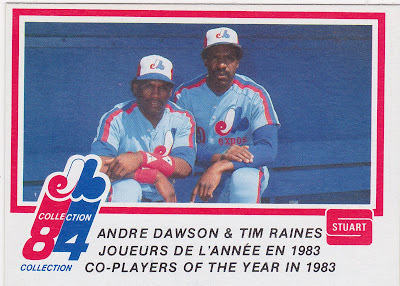 I've stated more than once several dozen times over the years that I am not particularly 'condition conscious' when it comes to my vintage sets. But I do have preferences and, well, limits. And when you assemble sets using a good sized 'starter' lot you always end up with a certain percentage of stinkers in the mix. 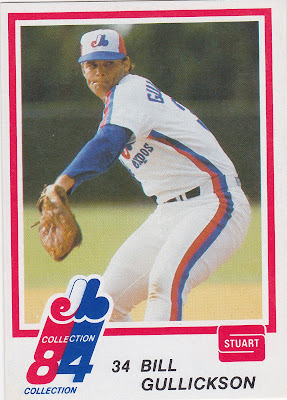 Issues with corners, centering, creases, marks, and paper loss might or might not cause me to decide that I need a better copy of a card. 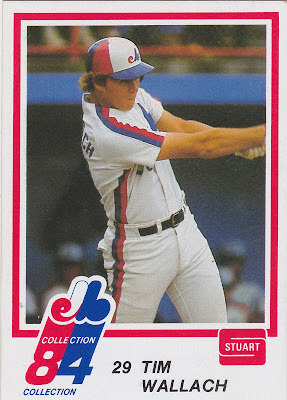 I don't really have a formula that tells me 'this card goes over the line' or anything like that. It's just a gut feeling. 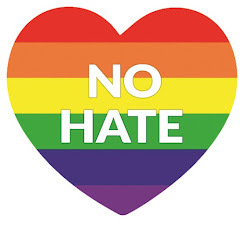 This is where I usually paraphrase Supreme Court Justice Potter Stewart famously said in the Court's 1964 ruling on an obscenity case.. 'I can't define it... but I know it when I see it'. That's how it is for me when it comes to upgrading or no upgrading. Condition X doesn't automatically trigger my eBay finger, nor necessarily does Condition X + Condition Y. 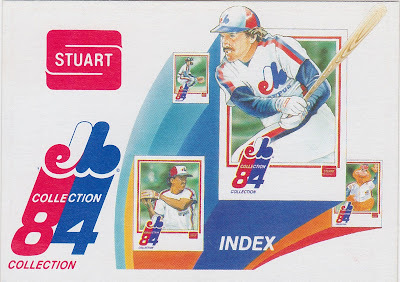 But when I'm flipping through a binder I'll pull a card that just looks 'wrong' in the slot. That's much better. Off-center? Sure. But I'll take it. I have two or three commons that probably could stand a bump but they will do for now. All are high numbers, obviously. The three players are Yankees and then there is the Pirates team card. 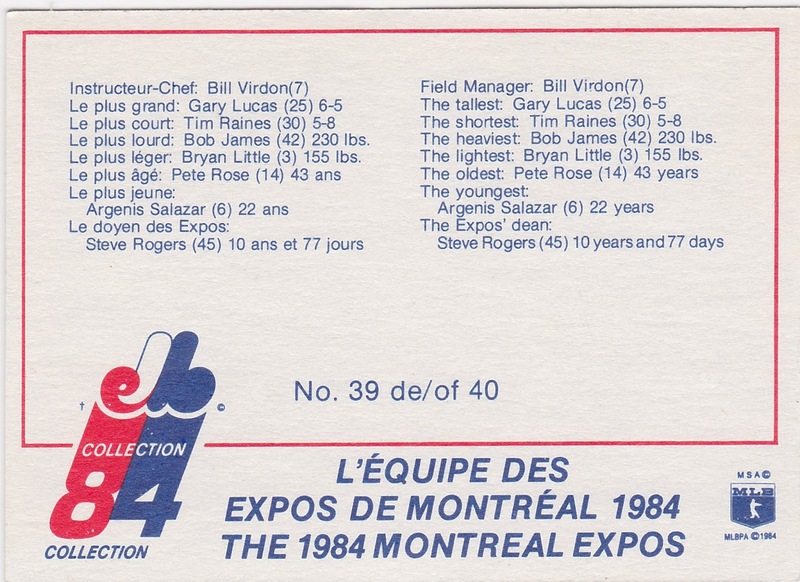 The Yankee 'tax' is pretty strong. None of those players are stars. There were no formal 'short prints' in the high number series as far as I can tell. At least nobody describes them as such. But the grading services have population reports that show the number of each card submitted for grading and the Sheldon and Cerv seem scarce. 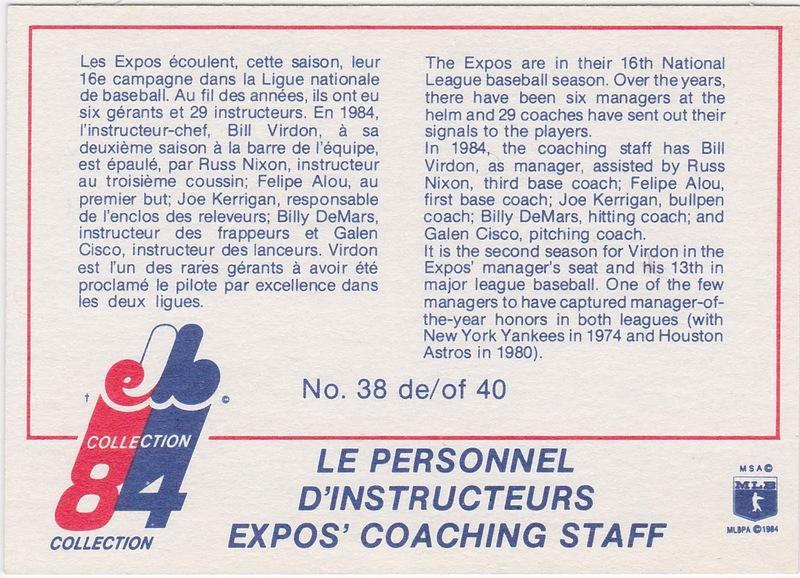 The Pirates team card gets a 'defending champs tax' I guess but I'm not sure it should. Bottom line...these are proving to be difficult to find (in acceptable condition) without busting my budget. 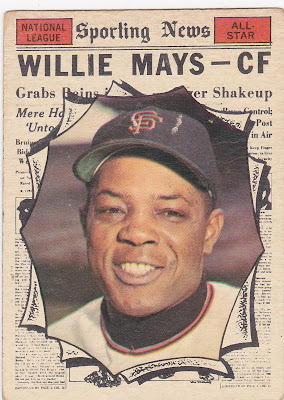 Meanwhile, back at the ranch, I've reeled in the last All-Star card I needed, Willie Mays. It's not a terrible card but that is a scuff on his cap and the corners are softer than my Texans' defensive schemes. But the price was right and it certainly fits into my 'acceptable' range for the set. 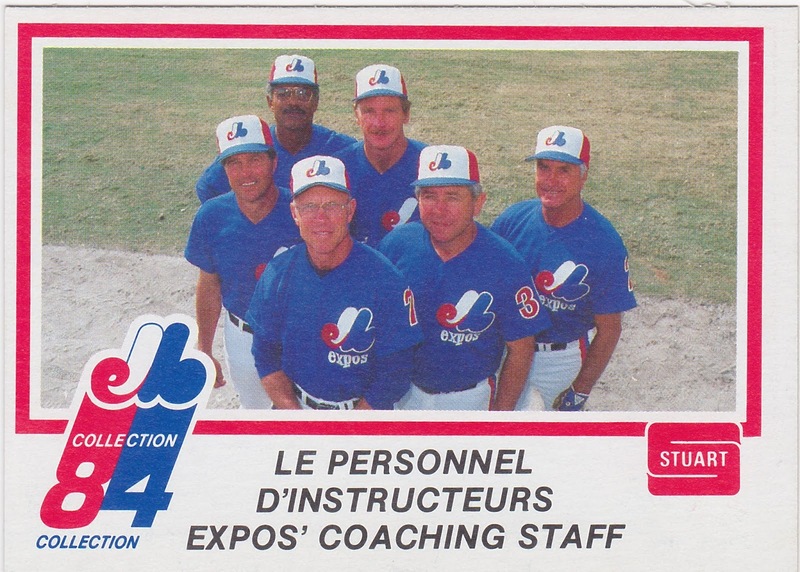 And it fills the final full page in the binder with a boatload of talent. 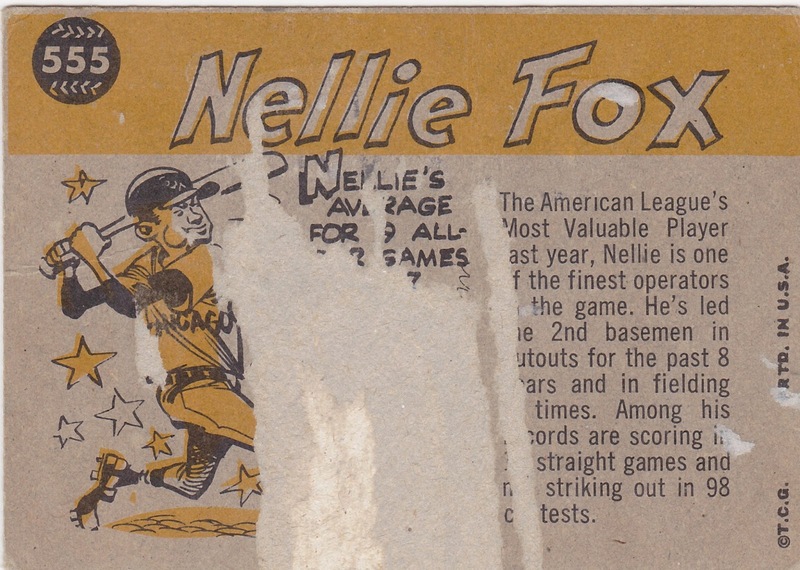 If my math is right the page represents: 102 All-Star selections (and I didn't count the twin ASG game years as two selections), 8 MVP trophies, 34 Gold Gloves, 5 Hall of Fame players, 2 Rookie of the Year selections (and a couple of runners-up), 15 World Series rings, 4 batting titles, an ERA title, a Cy Young Award, 412 pitching wins and 3219 homers. And to get to this point these high numbers came my way in recent weeks. These were from COMC I think. 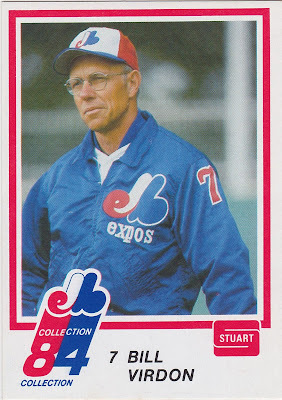 Bill Tuttle was rarely photographed without that large hunk of chewing tobacco in his cheek. Later in life, he paid a huge price as mouth and throat cancer took his life. 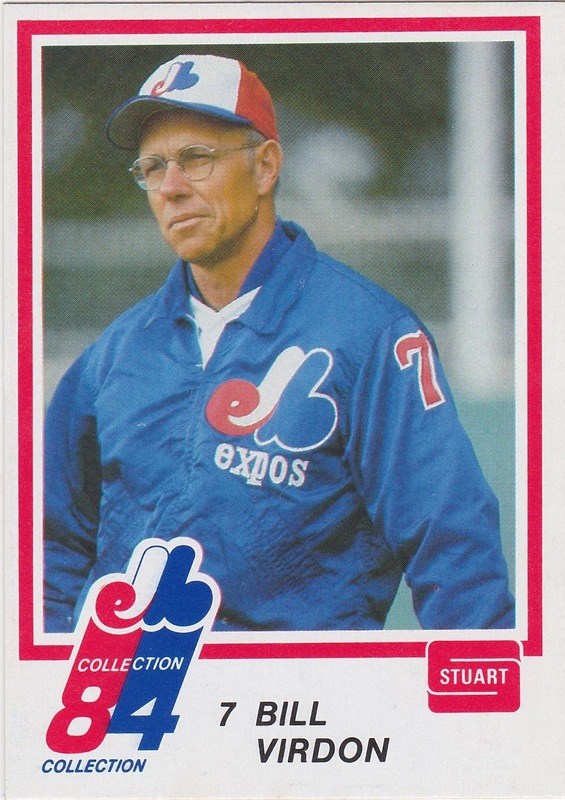 He spent a good bit of his last years as an advocate against the use of chewing tobacco and dip. There is a thread on Net54 about 'centeredness' (probably many threads) and one comment made was 'off-center cards give me the shakes'. 😏 I, on the other hand, have no problem with this Tuttle. 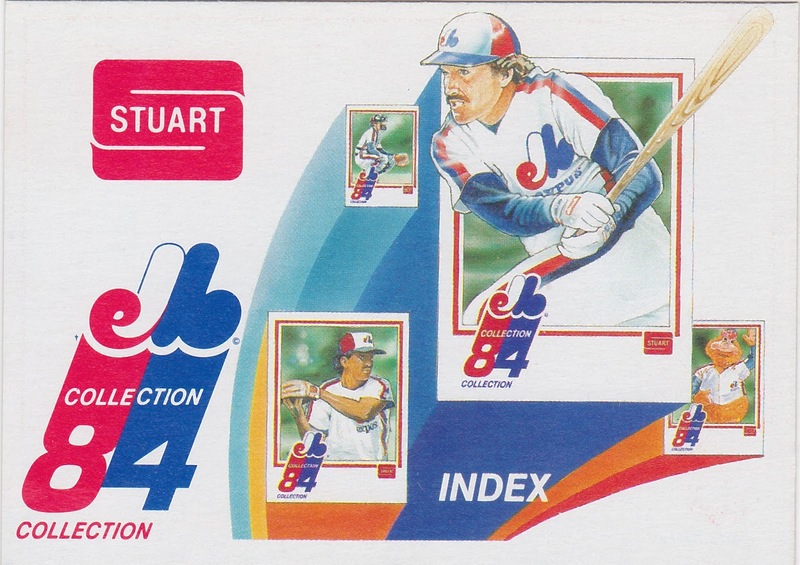 It goes back to my feeling that "if it came out of a pack when I was 9-years-old I wouldn't have even paid any mind" attitude. The only thing that gives me pause is when a card shows some of the one next to it. 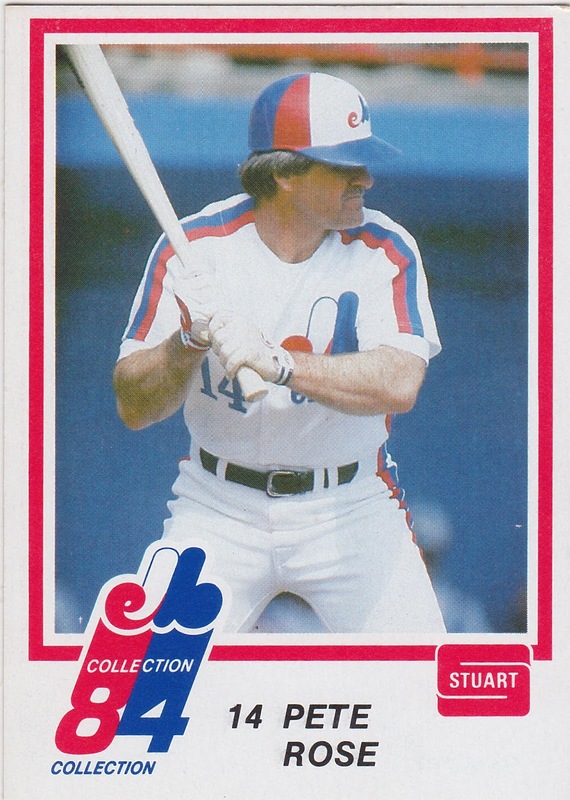 There's a Jim Coates on eBay cheap right now that has tempted me but the discount isn't big enough to get me to overlook that flaw. 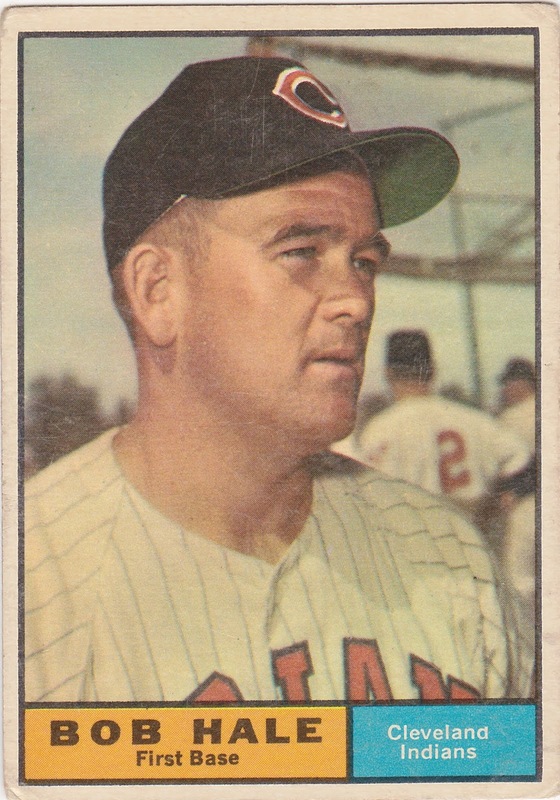 Bob Hale was at the end of his career. 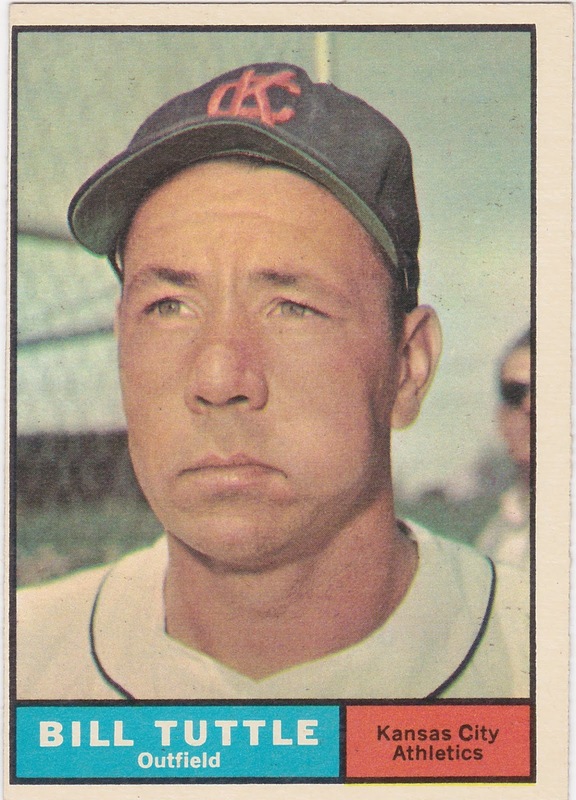 He'd began as a first baseman for the Orioles in 1955 but mostly served as a pinch hitter for the Birds, Indians, and Yankees thru the 1961 season. 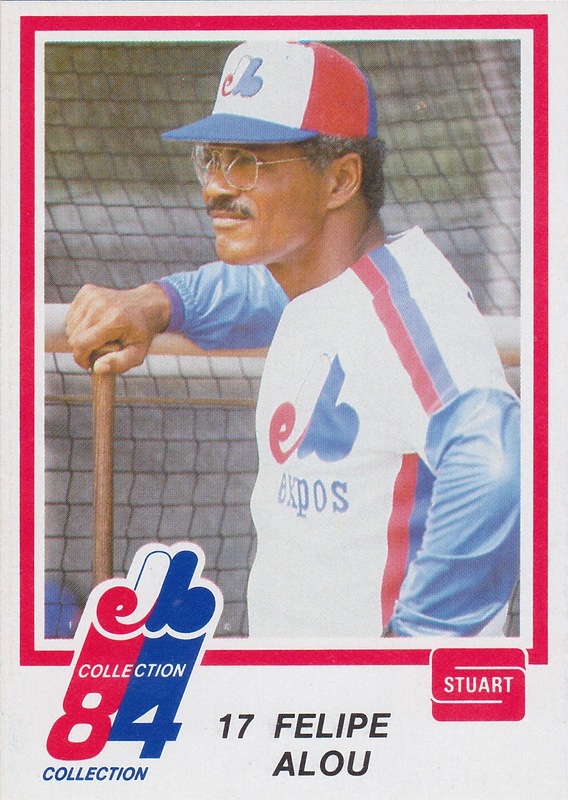 I really like this Felipe Alou card. He's in Seals Stadium. He really came into his own in 1961 as he hit .289 with 18 homers. 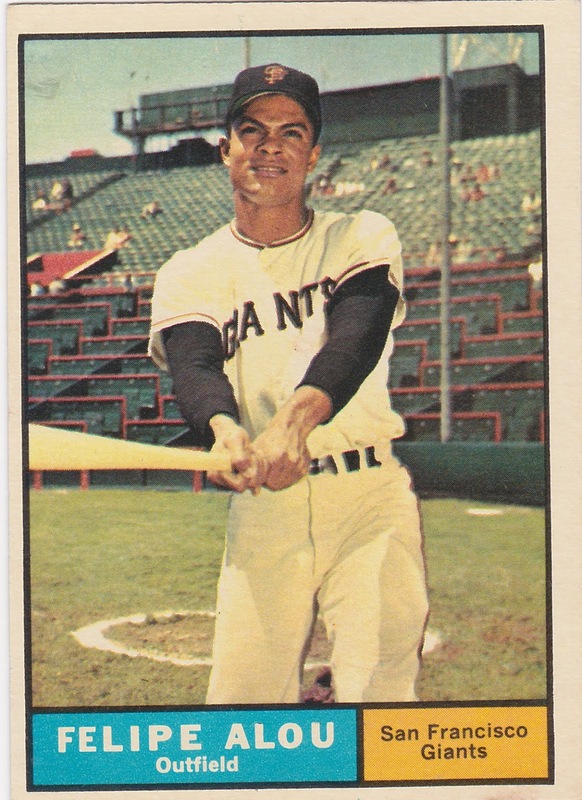 The next year he made his first All-Star squad and helped the Giants make the Series. This is the first official Twins team card. 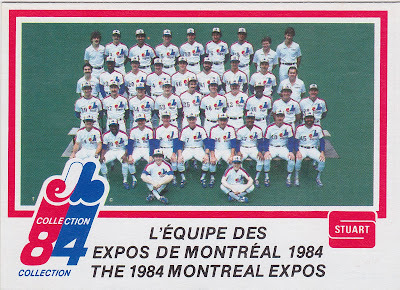 As noted on the front they were formerly the Senators and you can see that name on their unis if you look close. 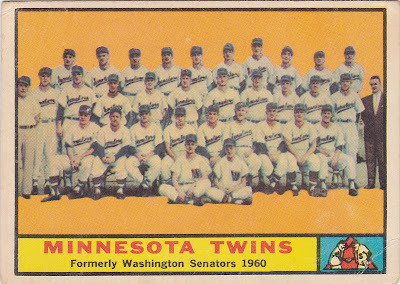 The new edition of the Senators, the expansion version, as well as their counterparts, the L.A. Angels, didn't get a team card in 1961. OK, maybe a few. But at least it was cheap. I threw down a 'throwaway' bid on this Elston Howard 'book' never figuring I would win. I actually had forgotten about it until I got invoiced. That's the 'inside'. I've never had anything along these lines before. I normally ignore relics and stuff along those lines. Who knows if these things are real? 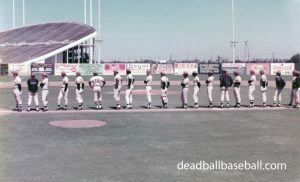 But to tell you the truth the picture is kind of cool and the overall look of the thing is sort of old-timey and Yankee Stadium-ish. 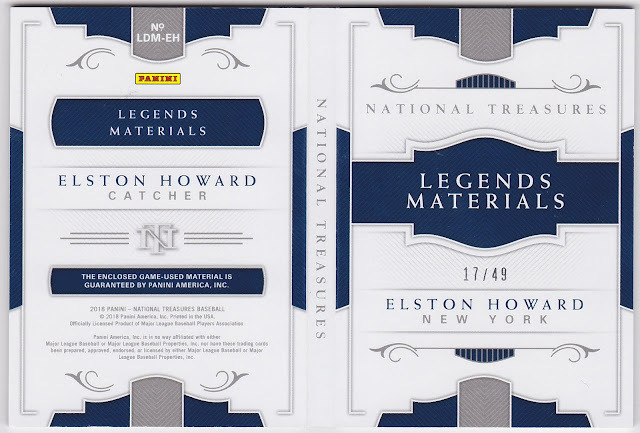 I collect career-era Elston Howard cards but sometimes something like this is a way to spice things up. Too bad there is no real way to store this thing in my binder. 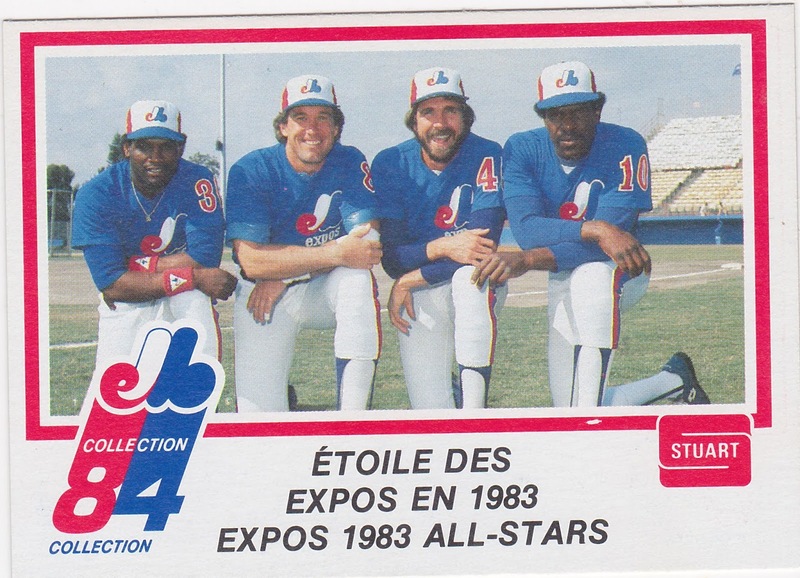 By using that photo Panini allows you to ignore the fact that they can't use logos. So, bottom line, I'm fine with winning it but I wouldn't have cared if I hadn't. I probably wouldn't have even thought about it.